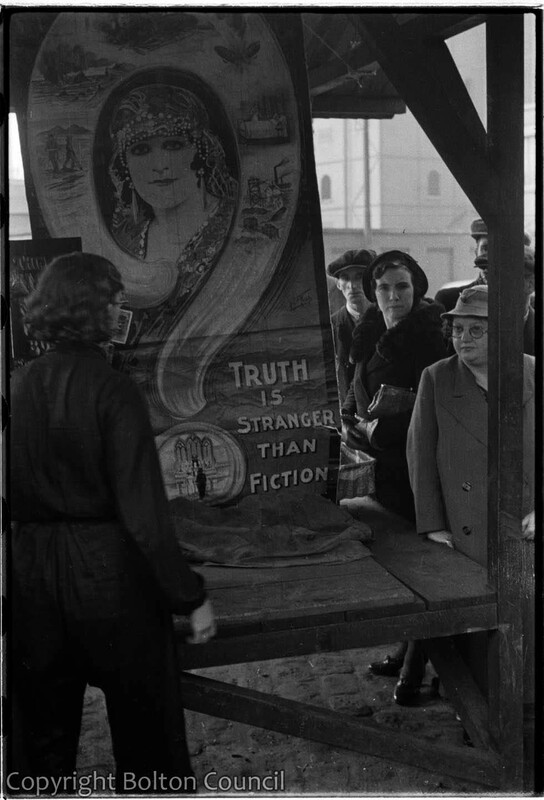 A painted sign for a palmist at Bolton open market with the words ‘Truth is Stranger than Fiction.’ This is one of the most iconic of the Worktown photographs taken by Humphrey Spender. It can be read as an expression of Mass Observation’s philosophy: that when you really examine the seemingly dull details of everyday life they turn out to be more fascinating than any made up story. The palmists were very important after the II World War because many women were still missing their husbands from the war and the palmist read in their palms that they were still alive and will be soon coming home. That time for the palmist a very lucrative job.